I have just finished a fabulous three day workshop with Jan Myers-Newbury. 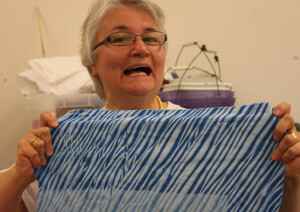 I have loved her work for a very long time and I meet her while teaching in NC two years ago. I have wanted to take a class with her for a long time and finally was able to schedule it into my busy life. We learned all kinds of great techniques. How to do clamp dying. 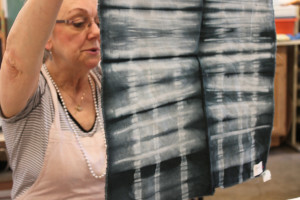 Many different ways to do shibori pole dyeing. 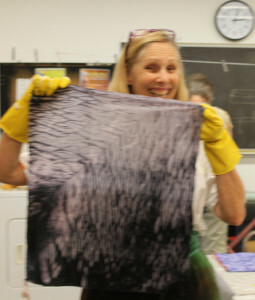 I love learning new techniques and it is always so much easier to take a class from someone who is an expert in their field. We just had a ball. Laura and I love to CUT UP, there is never a dull moment when we are together. Some of the other students probably wanted to shoot us, but it was FUN FUN FUN. I want to start putting more strips in my work and now I can dye them myself! The rest of the class was probably having just as much fun from you jovial natures. 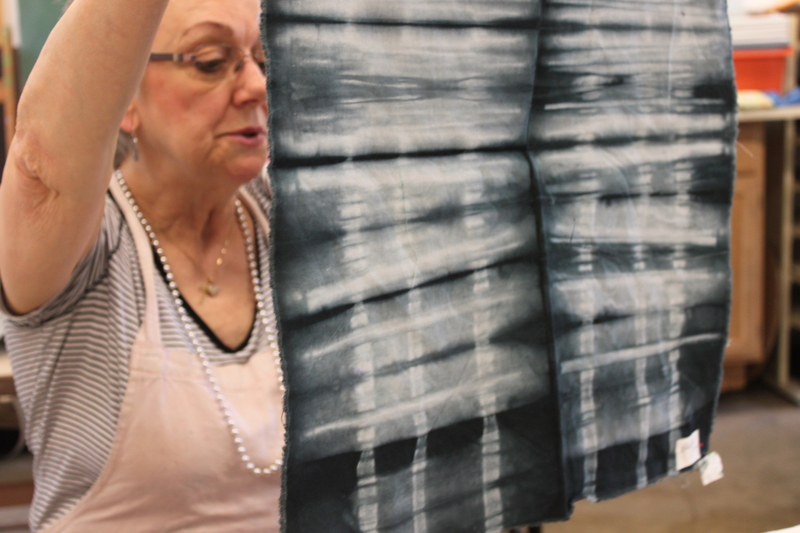 Your shibori pieces look fantastic! Did Jan threaten you with sitting in the corner? The fabrics look fantastic…lucky you. Frieda and I were very bad students. But Jan has a great sense of humor and kindly let us be bad students.